One rare muscle car coming up for sale is exciting, but two of the same type is even better. However, in the case of the Dodge Charger 500, it’s not just the year and body style that are difference. 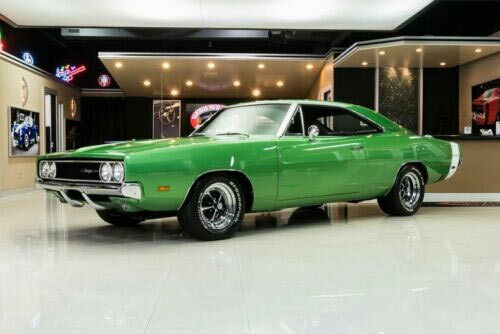 In fact the closest similarities are that they are both Dodge Chargers and have the name 500. The 1969 Charger 500 was produced to tip the scales in NASCAR. In an attempt to make the Charger R/T faster on the track as it suffered from aerodynamic problems at high speeds, the rear window was made flush with the roof with reshaped backlights and the front of the vehicle was given the 1968 Coronet grille which was flush with the front of the body. 500 models had to be officially produced to qualify as ‘stock’ for NASCAR. The 440ci. Magnum V8 was standard, with 67 models having the 426ci. 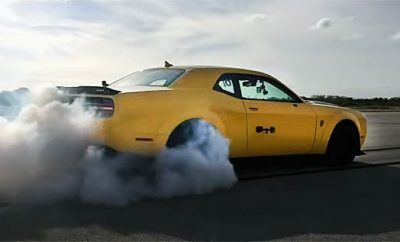 Hemi V8. Depending on who you ask, there may have been 559 produced, while the common consensus puts the number at 392. Although the Charger 500 gained 18 victories in the 1969 NASCAR season, Ford mopped up 30 wins, which ultimately led to the release of the 1969 Charger Daytona and 1970 Plymouth Superbird. 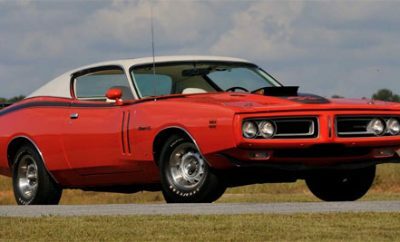 In 1970 the Dodge Charger 500 was no longer a performance model but a trim level, being one of three versions available that year in the base model, 500 and R/T, with an oprional SE package available. The 500 came with a standard 318ci.V8 or a 383ci.V8 with 2 or 4 barrel carburettors. The 1970 Charger 500 adopted the stylistic changes made to the vehicle this year, the last for the second generation of Charger B-bodies. A single front grille, wraparound chrome bumper, electric headlight doors, redesigned taillight panel, faux air intakes in the doors and various interior changes. 1970 also saw the introduction of ‘high impact’ colors, e.g. Hemi Orange, Plum Crazy, Panther Pink, Top Banana, Go Mango and Go Green. Dodge Charger VIN numbers begin with a ‘X’ and in the case of the 500, another ‘X’ to denote price class. ’29’ is for a two door hardtop, the 5th character for the engine, the six character for the model year and the 7th for the production plant. This means the 1969 Charger 500 is a limited edition, street version of its racing counterpart and the 1970’s version is a standard issue model. 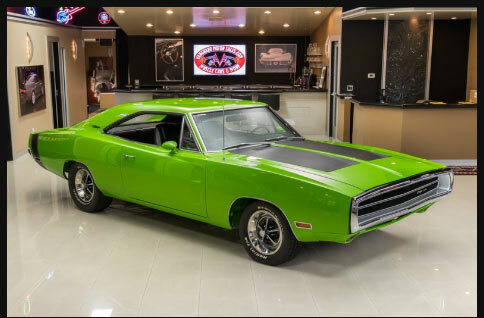 The irony is that the 1969 Dodge Charger 500 is slightly rarer than the Charger Daytona or Plymouth Superbird, but doesn’t command as high a price or the same notoriety. Clearly, both of the vehicles below are in fine condition, fully restored, numbers matching and fully documented, but it’s also good to know the differences between each model. In today’s market they are both vintage rarities, solid investments and fine examples of performance from their day.